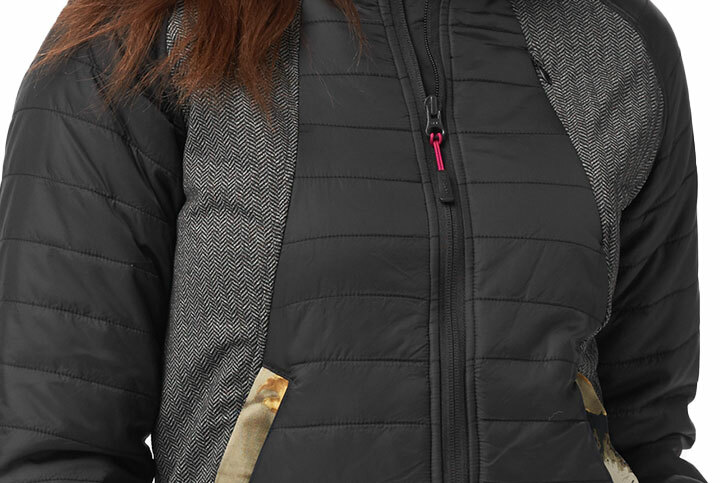 Women's Echo Trail Full Zip Jacket is rated 4.5 out of 5 by 2. Sometimes you meet a little resistance in the woods. Doesn't mean you have to call it a day. 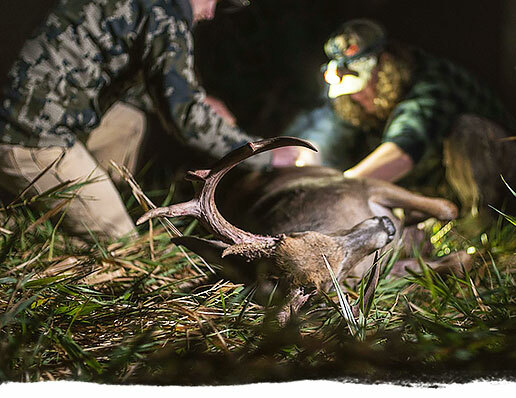 Whether its twigs or whatever, this'll fight off any snag you might run into. 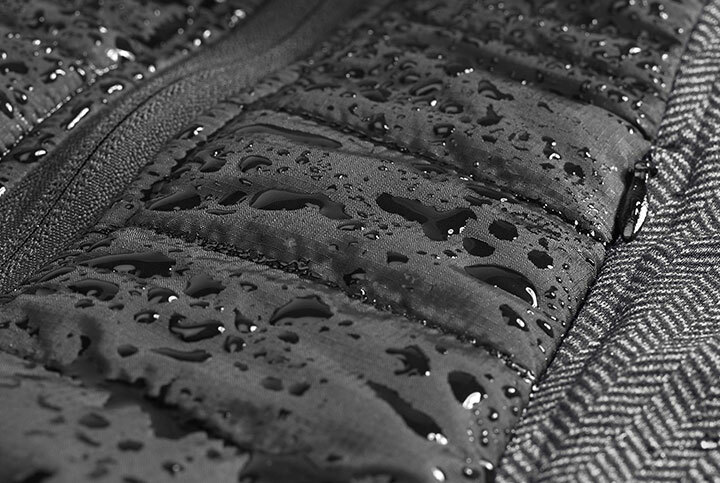 A little rain shouldn't put a stop to your day on the trails. 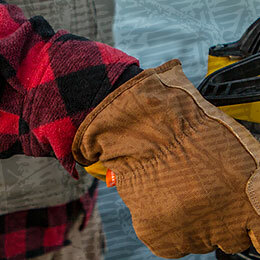 Stay warm and dry out there, even when Mother Nature doesn't want to cooperate. 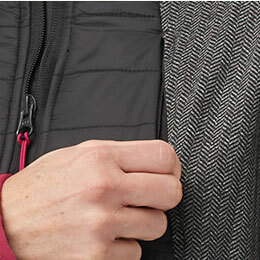 Step out in style with this women's insulated jacket. 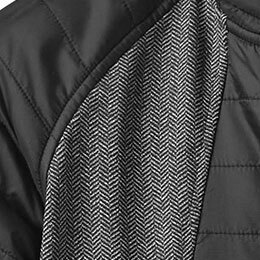 The quilted nylon ripstop body incorporates stretch front/side panels made from herringbone poly/spandex for greater freedom of movement. 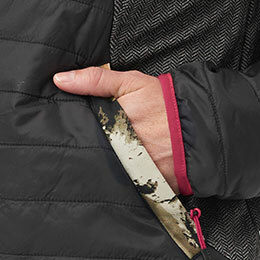 2 hand pockets with Big Game Camo® accents and its water-resistant finish keep you warm and dry, while a hidden left-chest media pocket provides plenty of that extra storage you desire. Rated 4 out of 5 by Kendra from Nice, comfortable Jacket! I've had this for a month now. It's very Comfortable and light weight. Love the colors. The only thing I don't like is the collar. I don't like it on my neck and when I fold it down it wants to curl up. It won't lay flat!! True to size. I'm 130lbs & 5'5. I always order smalls & this fits great! 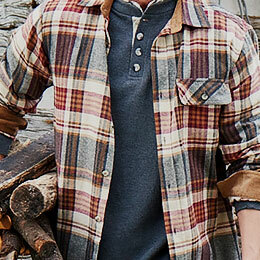 Although, it's not good for layers. I only wear with short sleeve shirts. Rated 5 out of 5 by WarmInWi from Great for mid temps, LOVE the look! First and foremost, I LOVE this jacket! 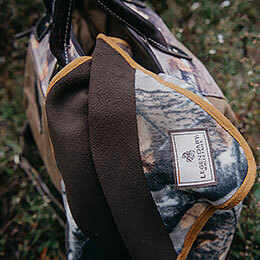 It's super light, but still keeps me warm on these middle-of-the-road Wisconsin winter temperatures... meaning, I wouldn't wear it for a winter vortex ;) I absolutely love that there isn't a lot of camo on it, and I also really like the different fabrics used. It's length is great and I like the extended back on it. The sleeves are a nice length too - definitely not too short. I ordered my normal size and will be keeping it, although I don't think I'd be super comfortable if I wore super thick layers underneath. The shoulders are a bit broad, which I find pretty typical for my Legendary jackets. Excellent addition to the line.